Pennsylvania law requires that wills be in writing. 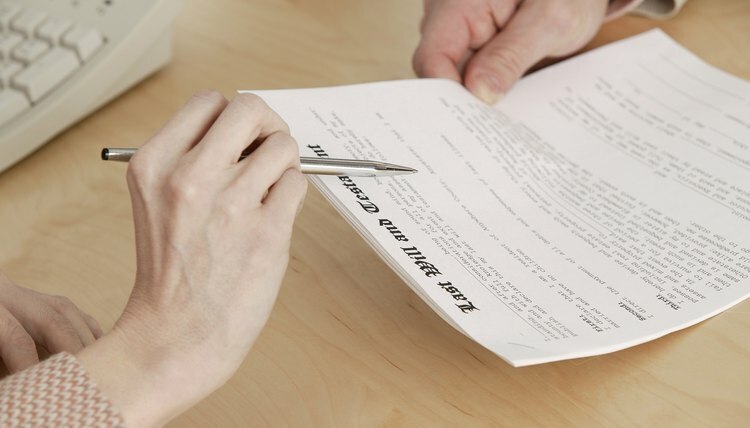 Handwritten wills are valid if witnesses can verify the signature at probate. In Pennsylvania, the will's maker must sign the will. Any words that follow the signature do not invalidate any writing that comes before it. If the will maker cannot write a proper signature for any reason, a mark placed before or after the maker's name is valid if two individuals witness the making of the mark and sign the will in the will maker's presence. If the will maker cannot make a signature or mark, his name must be placed on the will at his direction and in his presence. The will maker must declare that it is his will in front of two witnesses. These witnesses must then sign their names to the document in the will maker's presence. Pennsylvania does not require the presence of witnesses at the time of execution if a will has an actual signature. The law requires that two witnesses authenticate the will maker's signature at the time of probate at the Register of Wills’ office. Even if a will does not meet one of the aforementioned requirements, it may still be valid in two circumstances. If an individual's will was executed out of state, the law of the jurisdiction where the individual resided at the time of execution can apply to determine validity. In addition, if an individual dies out of state, the law of the individual's place of domicile at the time of death can decide the will's legality. LawChek: What Is a Holographic Will?